Lowell Bennion, Sterling McMurrin, and Obert Tanner were colleagues whose lives often intertwined. All professors at the University of Utah, these three scholars addressed issues and events of their time; each influenced the thought and culture of Mormonism, helping to institute a period of intellectual life and social activism. 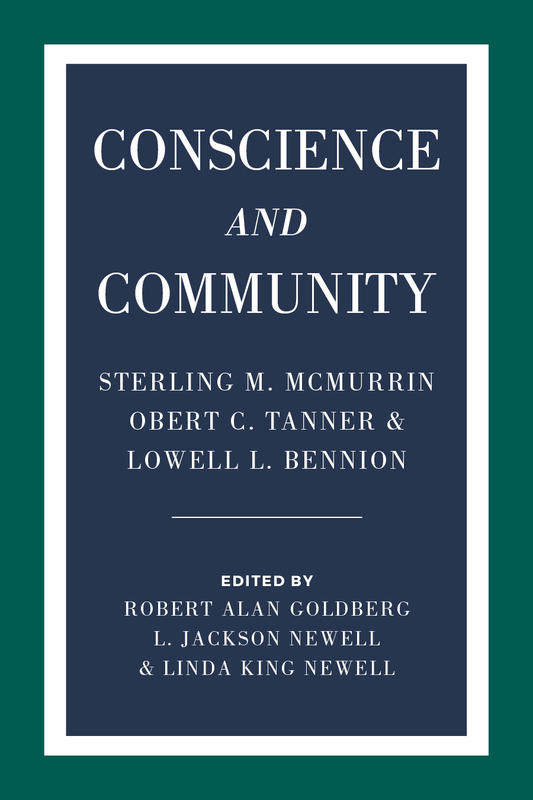 In Conscience and Community multiple scholars, family members, and others look at the private and public aspects of three lives and examine the roles they played in shaping their communities inside and out of their university and church. Lowell Bennion was founding director of the LDS Institute of Religion and professor of sociology at the University of Utah. He established multiple community service entities. Sterling McMurrin was distinguished professor of philosophy and history, dean of the graduate school, and former commissioner of education under JFK. He dismissed dogma and doctrine as barriers to a search for moral and spiritual understanding. Obert Tanner, also of the university’s Philosophy Department, excelled in teaching and business and became especially well known for philanthropy. The lives and work of these three men reveal the tensions between faith and reason, conscience and obedience. Their stories speak to us today because their concerns remain our concerns: racial justice, women’s equality, gay rights, and the meaning of integrity and conscience. Robert Alan Goldberg is professor of history and director of the Tanner Humanities Center at the University of Utah. He has won multiple awards for his teaching and has authored eight books, including Barry Goldwater and Enemies Within: The Culture of Conspiracy in Modern America. L. Jackson Newell has been a professor at the University of Utah since 1974, but took leave to serve as president of Deep Springs College from 1995 to 2004. His books include The Electric Edge of Academe: The Saga of Lucien L. Nunn and Deep Springs College and Matters of Conscience: Conversations with Sterling M. McMurrin on Philosophy, Education and Religion. Linda King Newell is a writer, editor and independent historian. She is a past president of the Mormon History Association and author or co-author of four books, including Mormon Enigma: Emma Hale Smith (co-authored with Valeen Tippetts Avery). 5. Fertile Ground, Fruitful Harvests: Sterling McMurrin in Arizona and Washington, D.C.